When your project calls for custom wall coatings, such as stucco or plaster, contact Randy Cole at Cole's Stucco & Plastering in Bradenton, Florida. 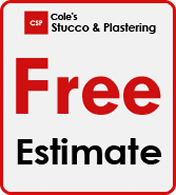 Cole's Stucco & Plastering was established in 1981 in Bradenton, Florida. We perform residential and commercial construction specific to Stucco, Metal Lath, Cement Plaster and Veneer Finishes. As a subcontractor, we do work on New Construction, Remodels, Renovations, Patching to match existing finish, Water damage, Pressure washing and Painting. Cole's Stucco and Plastering has provided quality workmanship for over 30 years in Manatee/Sarasota and surrounding counties. Owner, Randy Cole has over 35 years of experience in the field. As a Bradenton Native teen he began working for a company that specialized in Spraycrete Coatings that trended into Stucco Textures. In 1981 he started Cole's Stucco and Plastering and has built a reputation of being a Quality Subcontractor and a Fairminded businessman. Randy has enjoyed many years of providing an excellent product, a reliable service at reasonable pricing. Cole's Stucco and Plastering provides services for projects of all sizes on Residential and Commercial structures. Please contact Cole's Stucco and Plastering for your next project. With more than 35 years of experience, it is our pleasure to provide you with excellent and dependable services. Our Goal, is not to be known as the Biggest- but to be the Best at what we do. Contact us in Bradenton, Florida, to request an estimate for stucco, stucco repair, refinishing, or plastering.